Last weekend, 6,000 plastic eggs could be found at Estacada's football stadium. 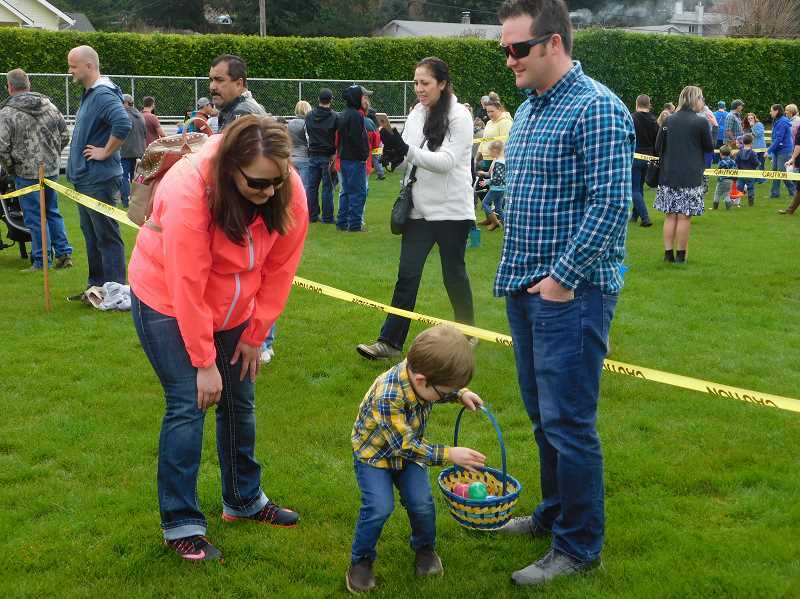 The annual Easter egg hunt, organized by the Estacada Fire Volunteer Association, took place on Saturday, March 31. As soon as the fire truck's engine marked the starting time, numerous young Estacada residents began their search for eggs. 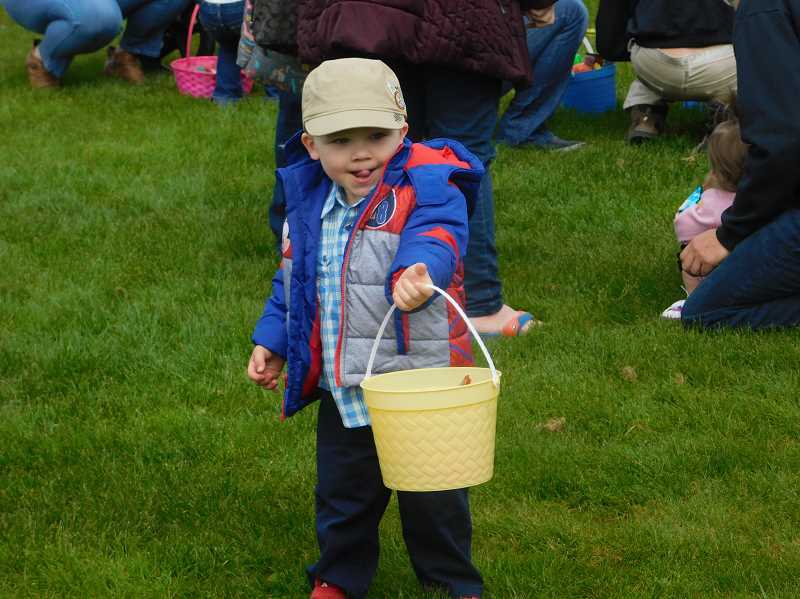 The field was divided into sections for participants by age, and smiles were all around as the young egg hunters left with goodies in hand.